Yoga teacher and author of the best selling book Happy is the New Healthy, David Romanelli recently wrote a post that was too good not to share. You can find more of these touching and inspiring real life stories shared by Dave from his own experiences of traveling the world and meeting all kinds of different people on his website. Indigenous people believe that your medicine is not something you take but something you give, your great offering that makes your world better. Last week I had the amazing experience of sitting with 1000 years of wisdom in 60 very special minutes. 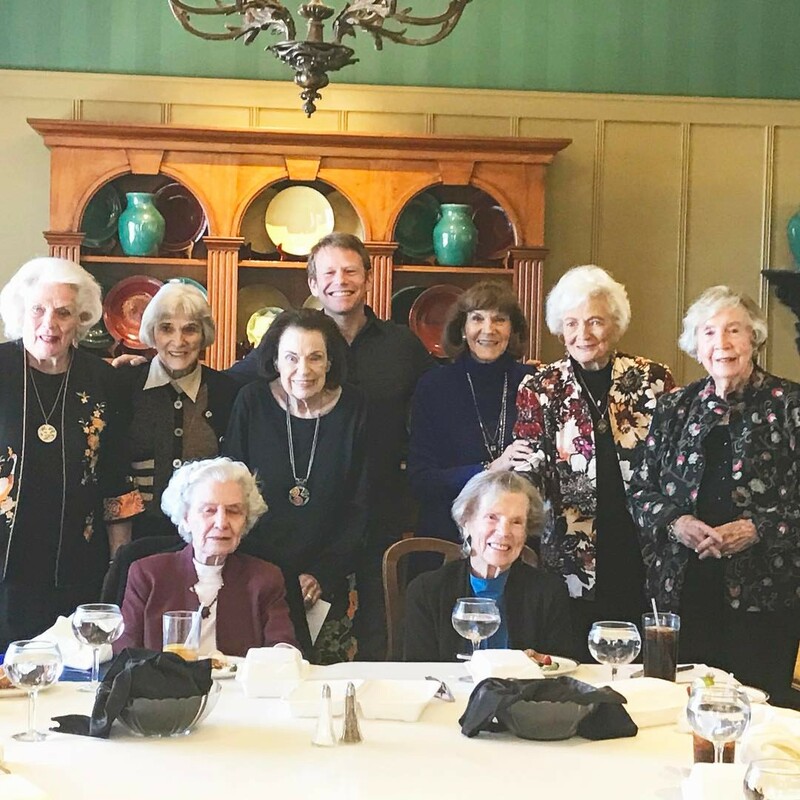 I had lunch with a group of ladies who met in college…in the 1940’s. 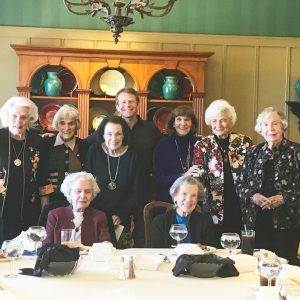 They joined the same sorority, and have continued to meet every month…for the past 70 years. Now they are in their 90’s. 11 people in their 90s is equal to about 1000 years of life experience. These ladies have been there for each as they got married, raised families, became empty nesters, celebrated grandchildren, became widows, got old, and now some are on breathing machines and in wheelchairs. And through it all, they have stuck together. The immense wisdom in this room was different. It wasn’t a wisdom based on accolades and resumes and fame. It was a wisdom based on reality. Each of these ladies had amazing stories of success and love. And each of them had tragic stories of loss and pain. Maybe it was just me, but I perceived happiness and sadness sitting side by side at this lunch. In our modern culture, there is rarely a seat at the table for sadness. It’s something we endure in private, maybe on the couch of a psychologist, or in some bursting out of tears in your yoga class. Psychology researcher Joseph Forgas found that people in a sad mood had better judgement and memory, were more motivated, and more generous than the happier control group. Periodic feelings of sadness widen our circle of concern. Now look. I wrote a book called Happy is the New Healthy. I’m all about happiness and I’m not saying it’s any fun to mope around and drag people down with you. But funny stories and pretty pictures of sunsets can only get you so far. The more I have listened to the elders, the more I realize the pure and lasting happiness can only come from finding the courage to share your sadness and in turn, inspire others to share theirs. These ladies went through some terribly hard times, but they went through them TOGETHER. There’s a lady named Deena Metzger who talks about how In the old days, the Chiefs, Medicine people, Shamans, and Elders called Councils. They looked for solutions to their problems by aligning themselves with the ancestors, the natural world and their wisdom traditions. Sitting around the table with these elder ladies, I felt a sense of what these “Councils” must have been like. Everyone at the table took a turn sharing what’s been happening in their life. And everyone else listened. It is that giving and taking, going around the circle, face to face, heart to heart, that struck me as something missing from my world. What have you been stuffing away, deep inside, that seems impossible to address because it would be impolite or unprofessional or just cause a mess that nobody wants to clean up? Instead, we see our shrink and take our pills and do our yoga and keep it stuffed away. Remember, your medicine is not something you take but something you give.